A lovely Example, Finance and Delivery Available. 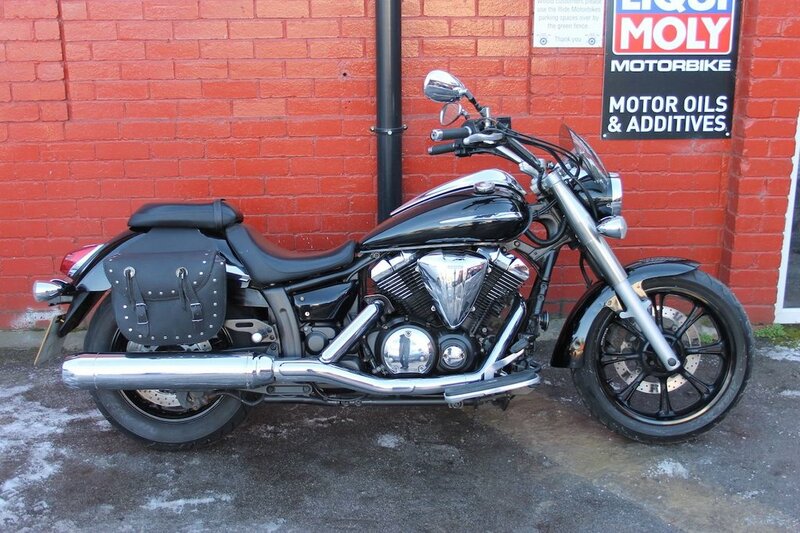 Here we have a Yamaha XVS 950 Midnight Star in Black. 22.6K on the clock. She is in good shape for her age and mileage. With a couple of nice extras. Finance available tailored to your budget with low deposits. Credit and Debit cards accepted. Uk delivery is available. She will leave us with a full PDI, service, 12mth Mot and a 3mth back to shop warranty. Extended nationwide warranties are available at trade prices. Extras include luggage bags & screen. The tyres are in great shape. We have 2 keys, One of which is red, her manual, mot certs, some purchase invoices but alas no service book. She runs and ride great and has been well cared for by her previous owners. A couple of age related marks but nothing major. The XVS is a striking looking cruiser with lovely lines and a great sounding engine. Low to the ground as well, ideal for the shorter rider. Ride is a friendly down to earth business with a passion for biking. HPI Clear, PX Welcome, Friendly Customer Service. 01535 658811 ***Check out our customer reviews on the website, at Ride Motorbikes Ltd Facebook page/Autotrader shop and google*** For more information about us, the bike and our stock please visit our website. The adventure starts here! Open 7 Days A Week. Ask us about Locks and Chains, Datatags, Helmets and Heated Grips. Stay warm and secure with Ride.